The host of this giveaway is Deliciously Savvy. 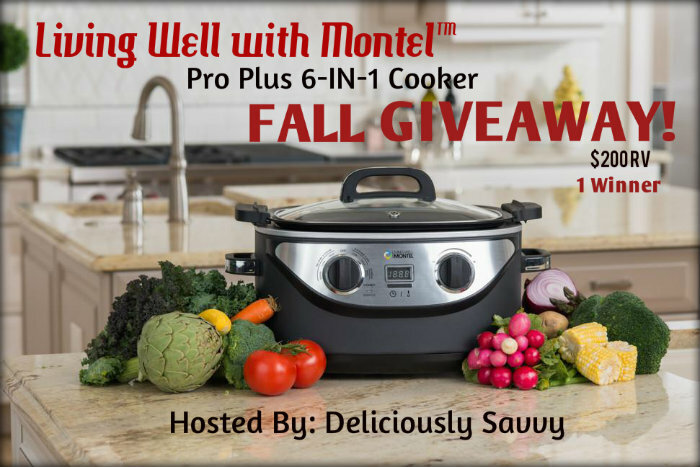 The prize is a Living Well with Montel™ Pro Plus 6-IN-1 Cooker. The valued at $200. It is perfect for stews and soups especially this winter for a hearty and delicious meals. Would you like to win this prized Cooker? Come on and Enter this giveaway! 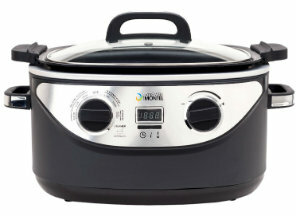 1 Lucky Winner Will Receive a Living Well With Montel 6-In-1 Cooker Valued at $200! This giveaway will end at 11:59PM (EST) on 10/26/2017. Deliciously Savvy did not receive any form of compensation for this giveaway. Once winner is selected via the Giveaway Tools process, the winner will be notified. Winner has 48 hours to respond or another winner will be chosen. No other blog associated with this giveaway is responsible for the product shipment. The Sponsor Above will be providing the prize above to the winners and please allow up to 4 to 6 weeks for delivery. Thank You for stopping by! Any Questions or Concerns email me at mcushing7 (at) hotmail (dot) com.